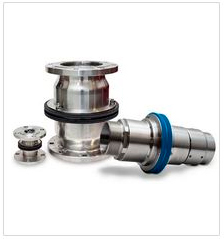 Quick coupling | Quick coupler manufacturers | BS HYDRO-PNEUMATIC PVT.LTD. 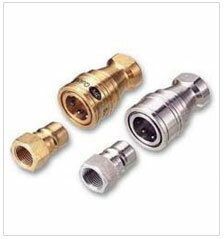 Flat face quick coupling These type of quick couplings are ideal for mobile hydraulics application. it prevents contamination of hydraulic fluids. Screw coupling These type of quick couplings are for high pressure hydraulics in static application. 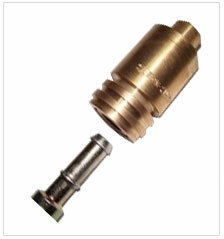 The coupler and Adaptor as secured through a screw threads to withstand high pressure of the system. 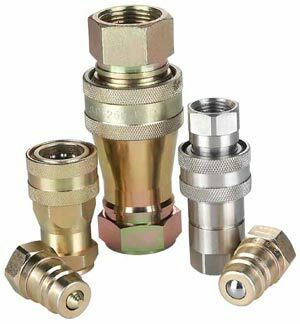 End connections: Different choice of end connection like threaded ends, weld ends and flanged ends are available depending upon user requirements. 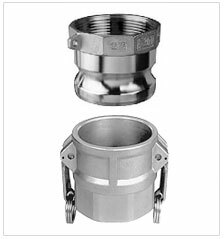 Use of bulk material transfer coupling ensures that loading arm or hoses are connected without spillage. We offer quick CNG Couplings for CNG applications. These CNG fueling coupling are available with following features. We manufacture high quality quick coupling for injection used for plastic injection molding components. Mould Couplings are used for connecting injection moulding dies in shortest possible time. 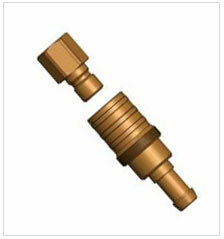 The use of quick coupling prevent leakage of coolant and increases output. Mould coupling are especially designed for frequent connection and disconnection of coolant lines for change over of dies in injection molding industry. We are offering Quick Coupling for Engine Testing. This type of quick connect coupling is designed especially for automotive industry for testing of engine on a test bench. Engine Testing Coupling is offered in 6NB, 8NB, 10 NB pipe size with different end connection. We deal in coupling for solvent & bulk material transfer. We offer Material Transfer Coupling along with hose fittings for transfer and handling various liquids for process industry. We specialize in handling solvents, API fluids. Our customized solution includes non interchangeable end fittings to avoid mixing of different liquids.